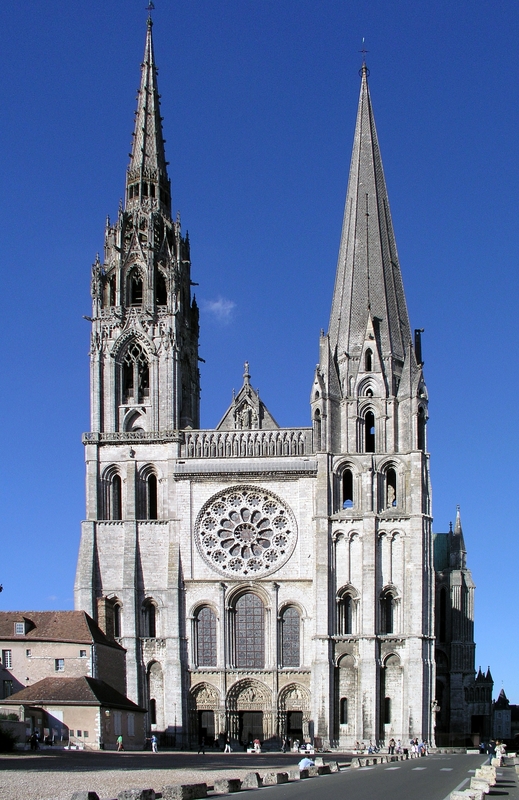 The Cathedral of Notre Dame in Chartres was built in two stages, the first immediately following the construction of Saint-Denis (the respective abbots of the two locations were close friends) and closely mimicked the style of that first Gothic building, demonstrating such likeness in interior sculpture and architecture that the same builders and craftsmen likely worked on both buildings. A fire destroyed much of the original construction, and fifty years later much of Chartres was rebuilt in an updated style. The rebuilt nave especially exemplifies High Gothic style. Also notable are the flying buttresses used, which are a hallmark of Gothic style.